The Society for all Tasmanian Artists who work in miniature. Members are also accepted from elsewhere. The Society holds workshops and annual exhibitions in various Tasmanian locations. For more details of the society see About ASMA Tasmania. 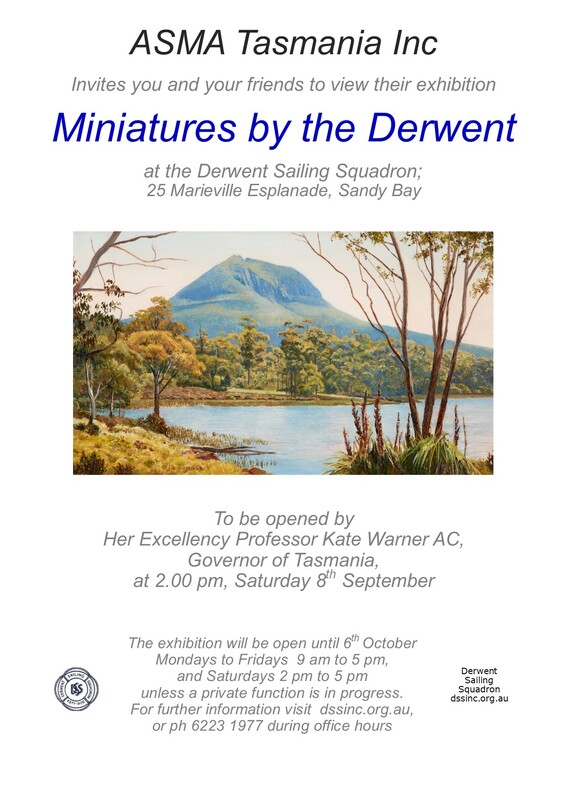 Miniatures by the Derwent opened on 8th September at the Derwent Sailing Squadron, 25 Marieville Esplanade, Sandy Bay. The exhibition was most successful. Images taken at the opening are available in the current newsletter.